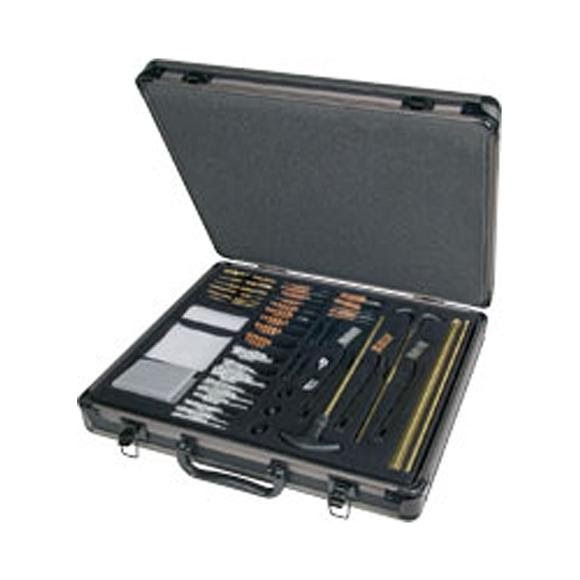 We offer several aluminum-cased cleaning kits that provide the ultimate in convenience, durability and portability. This product line also includes an eco-friendly option for hunters and shooters with its odorless, non-irritating, gun care system. We offer several aluminum-cased cleaning kits that provide the ultimate in convenience, durability and portability. This product line also includes an eco-friendly option for hunters and shooters with its odorless, non-irritating, gun care system. This kit includes Bore Clean, a non-toxic, odorless cleaner that removes 99% of powder fouling; Scent Out Gun oil, an odorless, synthetic formula that prevents rust and lubricates in extreme temperatures, and an odor neutralizing silicone cloth. 50 Cleaning patches: 3" x 1.5"
50 Cleaning patches: 3" x 3"